Today we’re sharing the rest of Project Peachy’s main floor: the open plan kitchen, dining and family room areas (if you missed the Entryway and Powder Bath or the Living Room portion of the reveal, check them out first to get the full “tour” experience!). To say that it has been transformed feels like an understatement, because the end result looks like it isn’t even the same house - much less the same room! This whole space underwent major changes in with new flooring and paint, but by far the most dramatic transformation is in the kitchen, where we knocked down the walls, re-worked the layout and started from scratch! When we first toured the house, the kitchen was tucked away at the back near the garage. The layout was cramped and closed off from the rest of the house (definitely not an ideal place to gather) and everything was finished in a different shade of brown - from the tile and the wooden cabinets to the golden granite and the mosaic backsplash. The little peninsula added a bit of extra counter space but, like the rest of the kitchen, it felt cramped and uninviting. If we had to pick a word to describe the feeling in here pre-renovation it would be “heavy”. 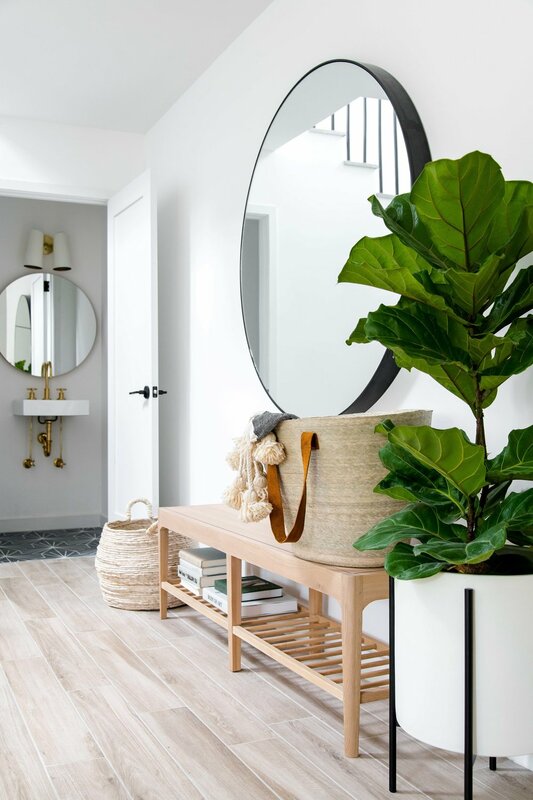 You might remember the layout changes we made to the first floor from Part 2 of our reveal, which included extending the entryway wall several feet to define the Living and Entry spaces (check out our last post for a refresher), which made a huge difference in those spaces. But, the REAL impact of extending that wall is seen in the kitchen. Extra length along the back wall (where the sink is located in the “before” photos) allowed us to demolish the enclosing walls (where the refrigerator and oven are in the “before”) and “unfold” the kitchen layout - creating a spacious, open feeling. We said goodbye to the small peninsula that was pushed up against the wall and opted for a big central island with lots of prep space, a sink and space for a few counter stools. We went with white cabinets to keep the space feeling bright and airy. The frames and interiors of these babies are IKEA. We know what you’re thinking, but they’ve got some super functional storage solutions, like interior drawers and recycling pull-outs that we LOVE! We think they’re a great, budget-friendly alternative to custom cabinetry. That said, we’re not so in love with their door styles, so we always look to Semihandmade for an IKEA-friendly option that has a more custom look. We used their Supermatte Shaker Doors and Drawer Fronts in White. Matte black knobs and pulls from Schoolhouse complete the look and tie in with the faucet. We especially love this hardware because it feels solid (soo heavy for such little things!) and is great quality, which is something we keep an eye out for when sourcing. Since it acts as the “jewelry” in a kitchen, its okay to splurge a little (or a lot, we’re not judging!). To break up all the black and white we hung a pair of rounded brass pendants above the island. They’re perfectly modern, but their finish pops with just the right amount of warmth and shine. The countertops and the backsplash are quartz and we don’t think we’ve ever loved a countertop more. The grey veining brings in some of that character and ambiance we all look for in marble, but without all the maintenance. This quartz could be right at home in a more traditional kitchen, but the slab backsplash and waterfall island give it a more modern vibe. While we were able to pack a ton of storage into the main kitchen cabinets, the space still lacked a traditional pantry or broom cupboard for food and cleaning supplies. We solved the problem without adding any square footage by installing floor-to-ceiling cabinets in a matching finish to the left of the new opening to the Living Room. We love the way they make the space feel finished while adding extra storage. And while we’re talking about the kitchen we can’t forget to introduce you to the vintage runner of our dreams. We love the burnt orange and umber tones in this beauty - the warm palette and the hint of softness keep all these hard surfaces from feeling too cold. The dining space behind the island didn’t change much - just a coat of white paint and a flooring upgrade - but we love how this space has been transformed. The previous owners had a little table pushed up against the window on the right with a couple of chairs on either side. With the new open layout, we pulled the dining area away from the window and opted for a round table floating in the middle of the space. This beauty was custom made for this project by Grove and Anchor. Every time we work with Rob, we think we couldn’t love his pieces any more than we already do…and then this table was delivered and proved us wrong all over again. It’s made of solid ash and it is HEAVY but so perfect - just look at that thick wooden top!! This piece is substantial enough to help the dining area hold its own in this multi-functional room, while it’s clean, modern lines complement the overall vibe. We added black spindle back dining chairs for contrast, with custom seat cushions that attach with a leather strap detail. The other half of this room is dedicated to the “family room” area which, like the dining area, kept the same layout as the original plan. The previous owners had crammed an overstuffed sofa and chair into this corner, with a big coffee table in the center - a lot of heavy furniture for such a small space! We went with a low-profile L-shaped sectional sofa with a streamlined shape and slim legs to make this space feel lighter, while still providing the perfect spot to lounge and watch TV. We also opted for a chaise end (rather than an arm) on the left side to keep the lounge area from feeling too closed off from the rest of the space. We finished off the seating arrangement with this beautiful solid wood coffee table and our FAVORITE target find ever - this mid-century inspired armchair (which, coincidentally, our clients already owned because they have great taste). It tucks perfectly into the corner we created with the new pantry cabinets. To break up the wall space and contrast with the large TV, we hung a pair of prints stacked vertically above the chair. We’ve always loved these botanical prints by Living Pattern and thought that they would be the perfect, simple accent. We wanted the artwork above the sectional sofa to be clean and minimal, but also needed something that would bring in some warmth and texture. The “Sidewinder” wood block print by Block Shop is gorgeous and fit the bill perfectly - it’s printed on handmade cotton rag with unfinished edges. You can just make out the slight fraying in the photographs, but they have SO much character in person! 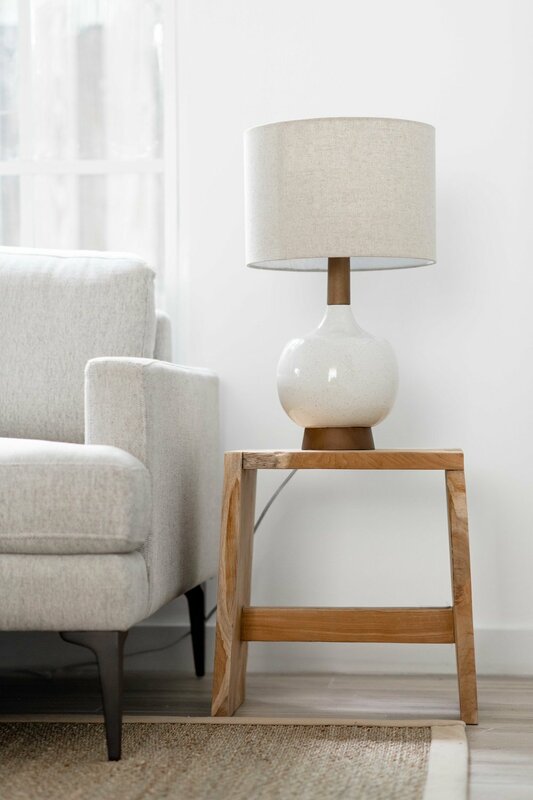 The cute lamp on that side table is from West Elm - we love the mid-century shape and the speckle detail in the ceramic base. 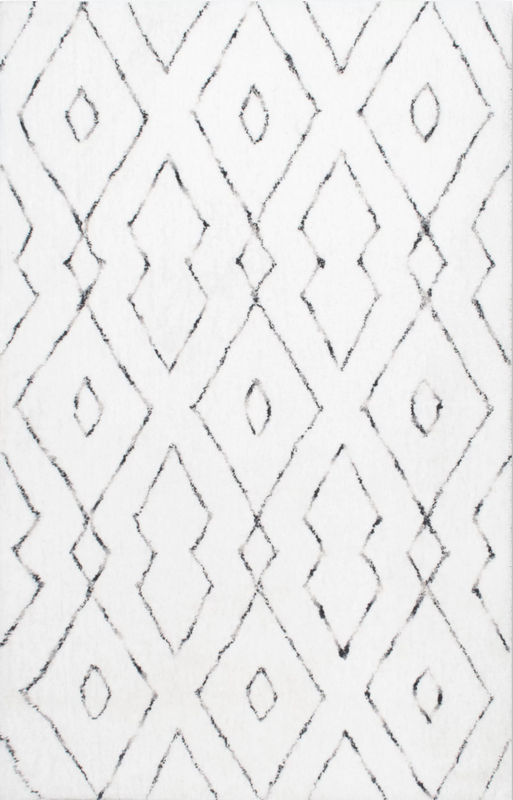 The black and white tassel throw is from The Citizenry and is impossibly soft. It’s no longer available, which is unfortunate because we both wanted one for ourselves, BUT they still have tons of great options still available on their site! 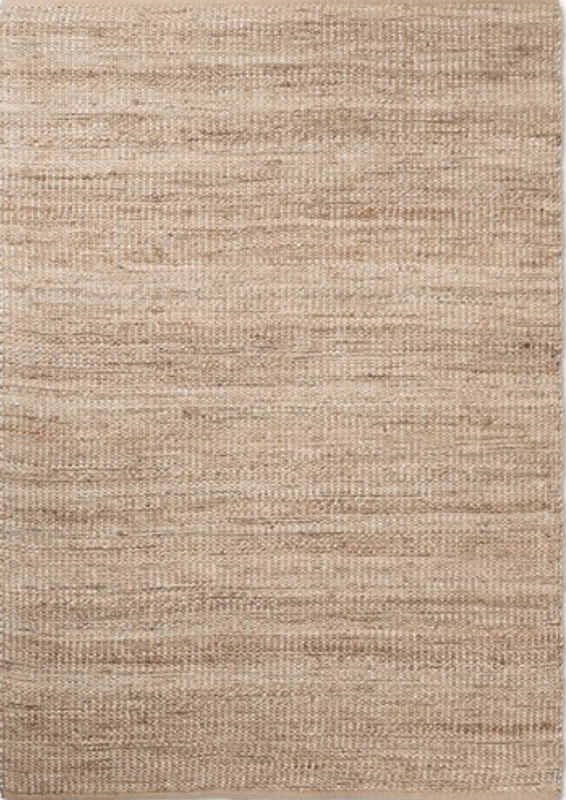 The natural fiber rug anchoring the living space is a favorite of ours from Pottery Barn. It defines the area in a subtle way that perfectly complements the warm, neutral scheme. What was your favorite part about this transformation? Let us know in the comments! One of our favorite touches in any living room is a styled coffee table. This one from the #projectpeachy living room is a more simple, modern take with layers of textured neutrals while still ticking all the boxes on our “must have” list. Tray to corral coasters and smaller items? Check! Stacks of coffee table books? Check! A little greenery to liven things up? Check and Check! Side note - HOW CUTE is that tiny air plant!? We’ve rounded up everything you need to get the look for yourself below! Tip: Look for coffee table books that look great with the book jackets off! We alsost always remove the covers when we style a table because we love the toned-down look of a plain hardcover with simple titles and text. 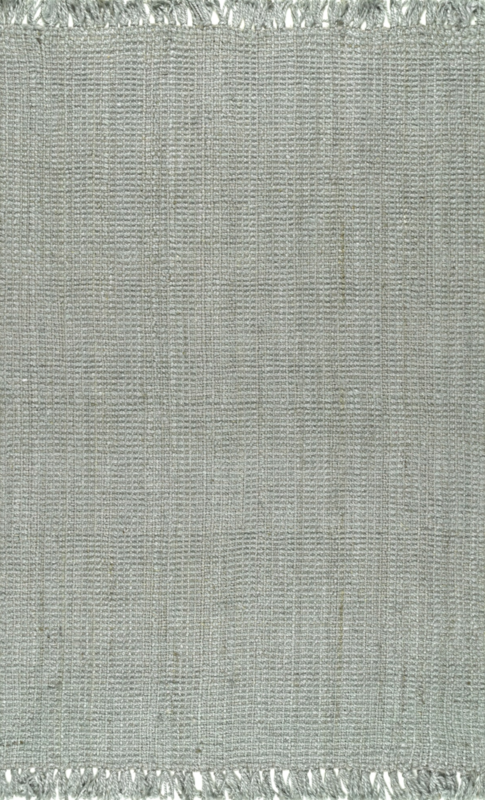 We also keep an eye out for books made from different materials, like this neutral textile on The Authentics, for some added texture and richness. Don’t forget to select books in varying sizes so you’re able to create interesting stacks! P.S. In case you missed the full before and after reveal of the #projectpeachy living room, you can read all about it and see the pretty photos here. This little blog has been a long time coming! We finished this project waaaay back in August and we meant to write a blog, but then we had some weddings to attend and then it was Halloween, then Thanksgiving, and then it was Christmas - you all know how that goes, right? Anyway, here we are sneaking up on March (how did that happen?) and finally getting the chance to sit down and write about this beaut of a project that we did for some of our favorite clients! 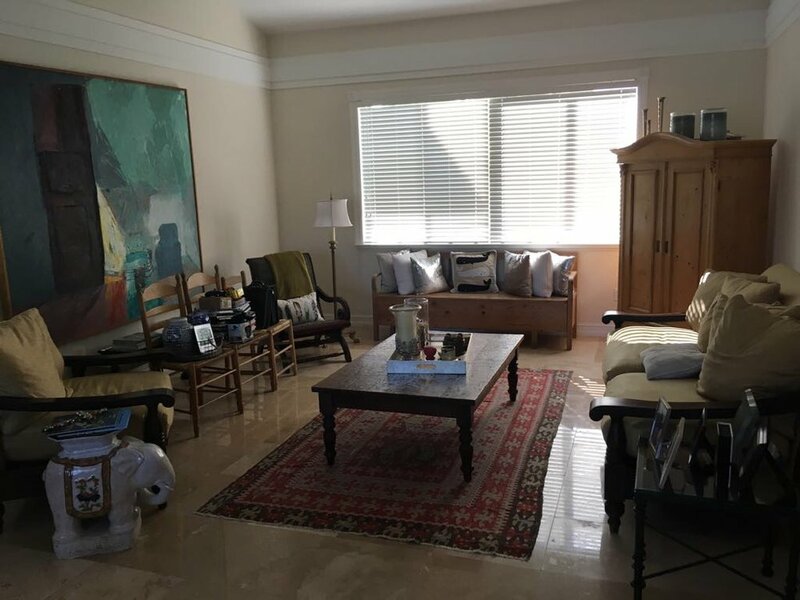 These clients were ready for an update to their family home in Palmetto Bay and were looking for something bright, clean, and family friendly. They had a few existing key pieces to incorporate (read: BEAUTIFUL antique furniture and one of the coolest art collections we've seen) but we were otherwise unleashed to create a home that was bright and clean and textural with a whole lot of eclectic style. Read on to find out what we did and see the before and afters! Since this family has a den with a perfect-for-movie-night sectional sofa, we went with a slightly more sophisticated vibe when designing the living room. We wanted a space that felt adult-y enough to say "come enjoy a cocktail on your nice leather sofa" but not so buttoned-up that it said "please don't sit on or touch anything". (sidenote - did anyone else's grandmother have a formal living room full of furniture covered in plastic? Can we all just breathe a collective sigh of relief that the days of sofa protectors are - hopefully - over?!) We struck the perfect balance in this space with a rich cognac leather sofa and a pair of vintage armchairs, paired with our client's existing vintage wooden bench and a set of rattan stools. We arranged them all around the coffee table to create a conversation area with plenty of seating for guests. Remember that killer art collection we were telling you about? Their largest piece served as a major focal point in this space! 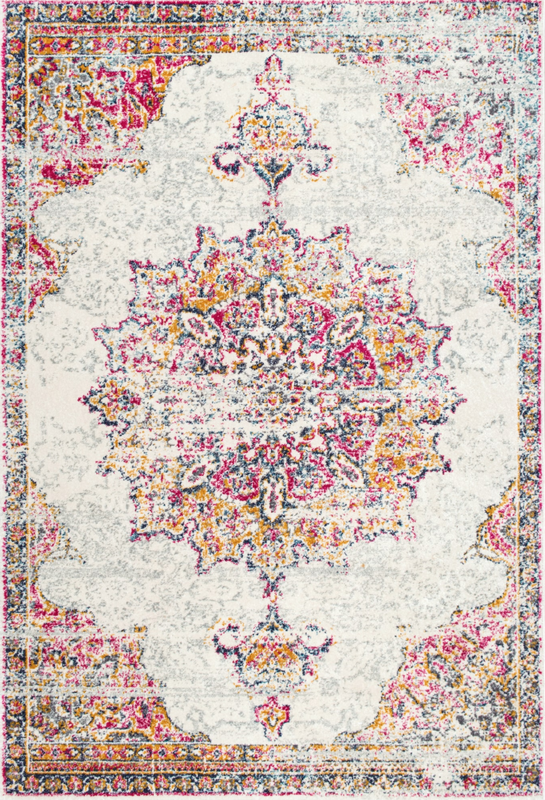 It's large enough to hold its own against their high ceilings, and we couldn't get enough of the beautiful colors! The rattan stools on this side of the seating area provide extra seats without blocking any of the artwork. The den already had a big sectional sofa and a big TV, but it needed something really impactful to balance out the space and make it feel completed. So what did we do? We designed a great big built in entertainment center. Our clients loved the look of a contrasting shelf, so we went with oak shelves in a white frame to add some warmth. We added some bench seats under the windows perfect spot to curl up with a good book - but mostly as a cozy spot for their dog, Duke, to lounge while he sunbathes (sorry guys!). This built-in was a real game changer for this room and exactly what it needed to feel balanced! Since these clients were blessed with incredibly high ceilings in their bedroom, we went with an iron canopy bed to add some height and help fill the space. We kept the scheme light and airy with white 3-drawer nightstands, neutral bedding and pretty pillows to inject some pattern. Oh! 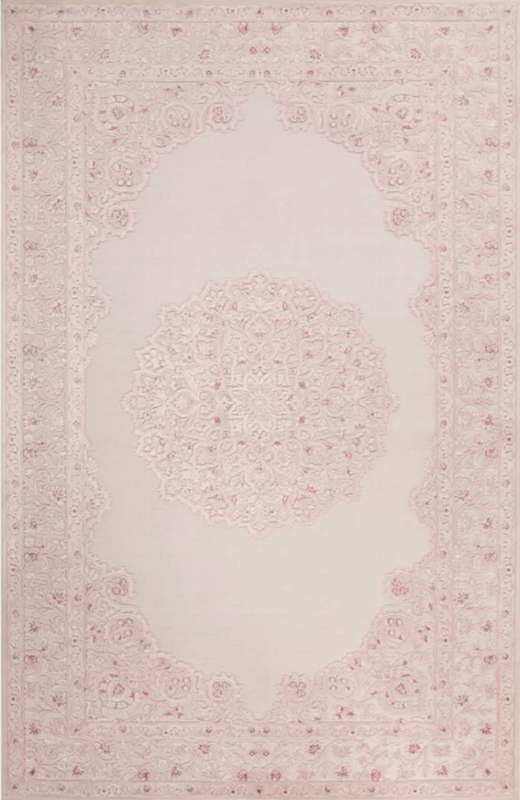 We can't forget about the fabulous dusty blush rug we brought in to tie everything together. 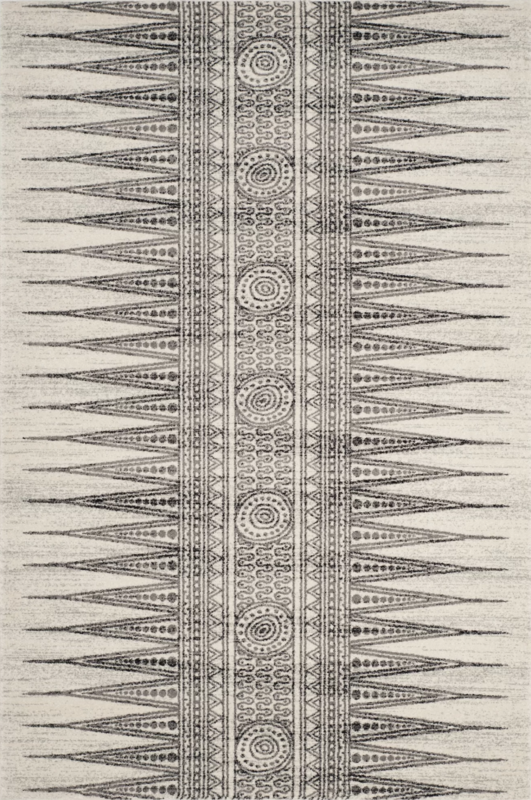 We LOVE this rug and the softness it adds to the space! Quick Tip: If you've got a King sized bed and you have the space, go BIG with your nightstands. These nightstands are actually 3-drawer chests and their size fits perfectly with the size of the bed. Plus, the bigger the nightstand, the more room you have for your phone, a book, and the 17 glasses of water we all keep next to the bed (no? just us?). And there you have it - #projectpalmettobayeclectic! Tell us what you think about this transformation in the comments below! Happy New Year! 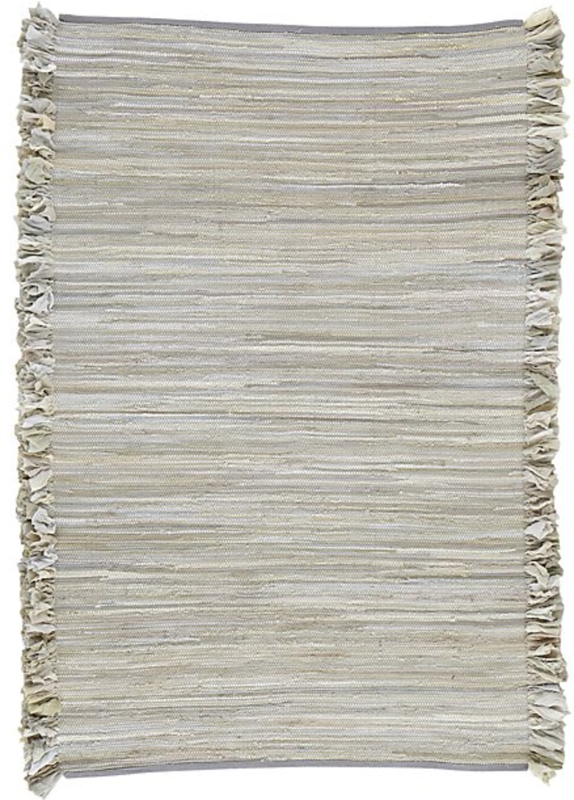 Sara E. here again, and today I’m sharing a roundup of 20 of my favorite area rugs under $250. There is something about the New Year that just makes me want to reorganize and restyle every inch of my house. It makes my home feel so much fresher and gives me a boost of inspiration for the New Year. 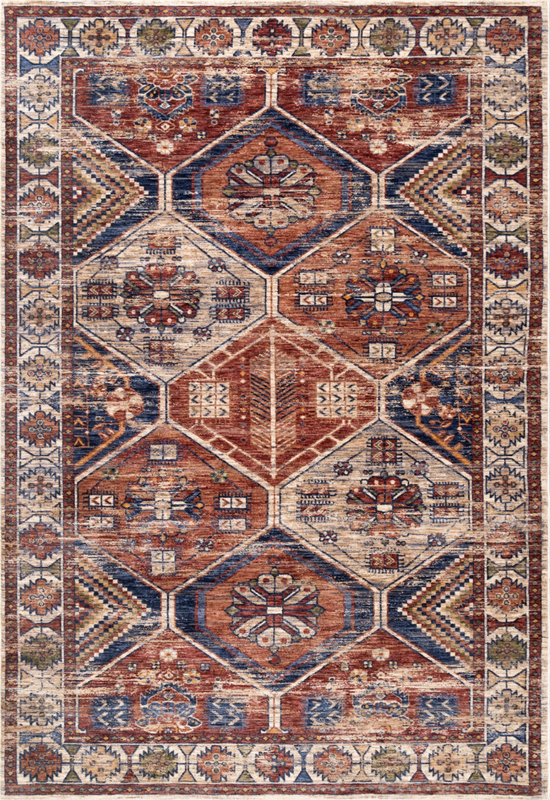 If you’re in the same boat and have been thinking about getting a new rug or replacing an old one, then keep on reading! 1. The most obvious reason is that it provides comfort under your feet when you’re walking or sitting on the floor. 2. It can make a room feel larger because it draws the eye down and around the perimeter of the room. 3. It adds pattern, color, and texture to a space. 4. It defines specific areas in larger spaces where you want to incorporate multiple seating arrangements. 5. They just make a room feel so much cozier! 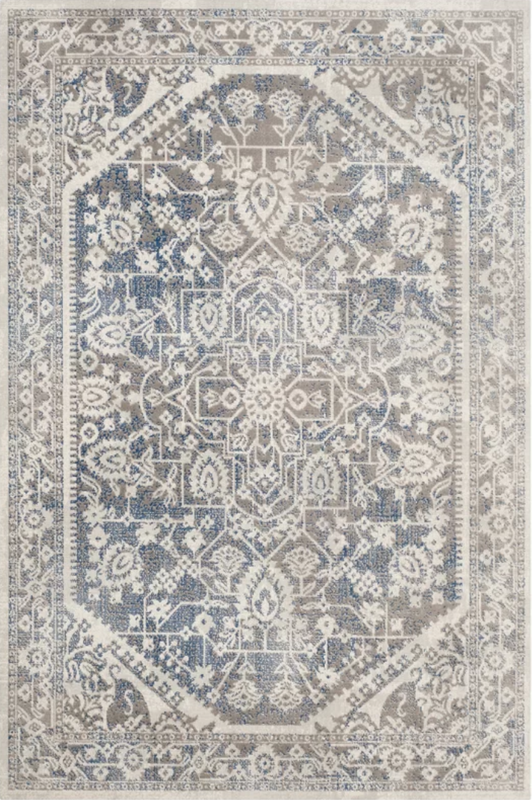 If you’re unsure of what size to purchase, always make sure that the rug is not too small because it can actually end up making the room feel smaller. 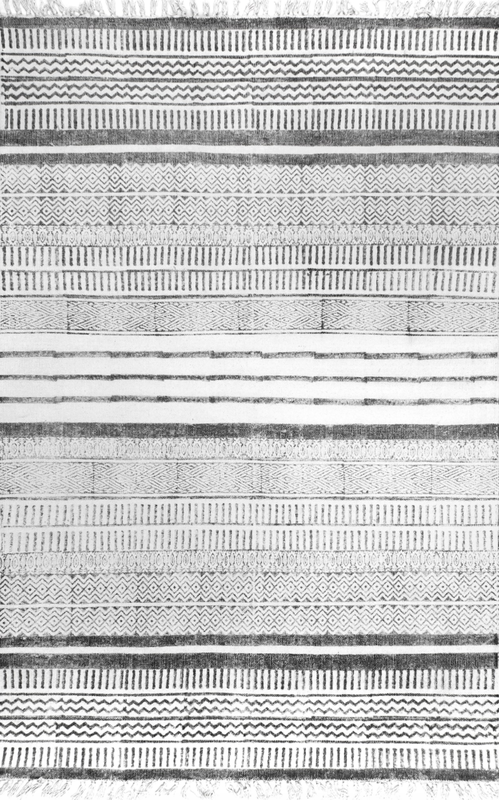 It’s always better to spend a little bit more money on a larger size than to waste your money buying a too-small rug that looks awkward. 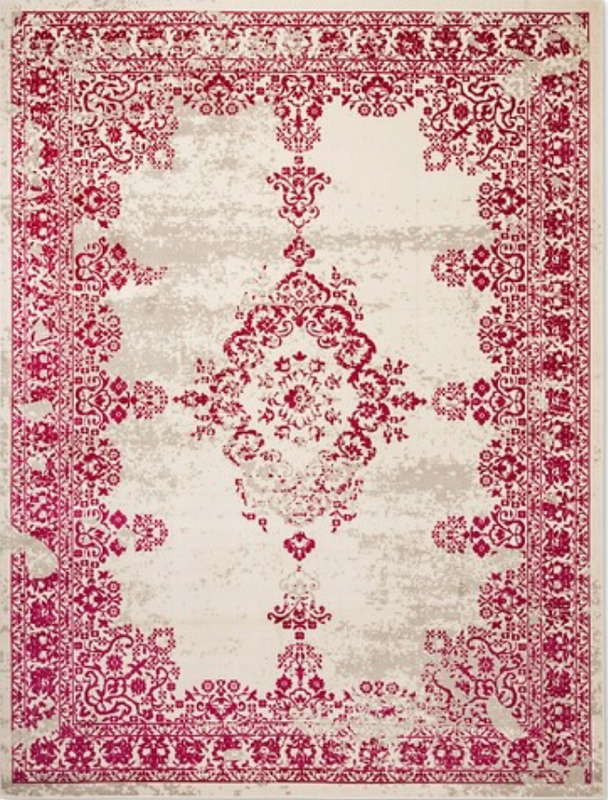 Fortunately, all of the rugs that are linked here are either 7x10ft or 8x10ft and they are all very affordable!